Many people, particularly children now spend much of their time in the virtual world of social media and online gaming. Although this can be educational, you do need to strike a balance. 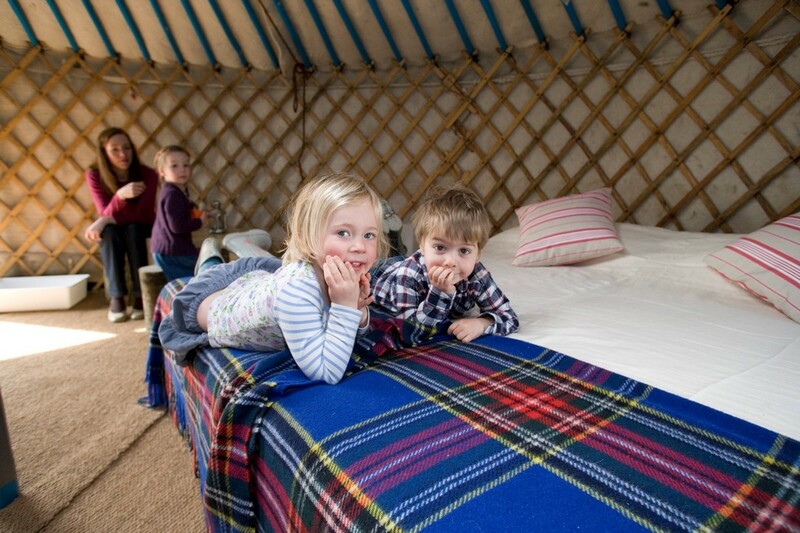 And that is what a stay at Meon Springs Yurt Village provides for families, for children and for others. 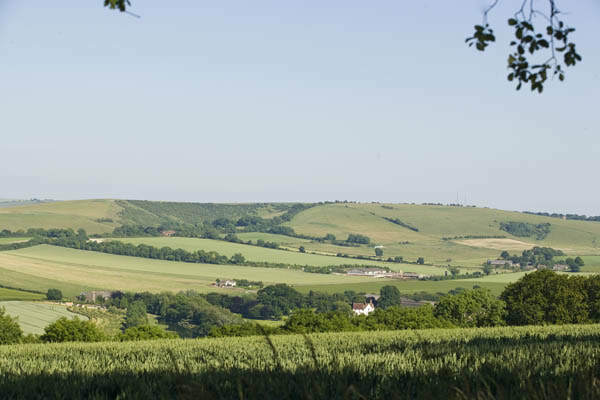 The Yurt Village is located in the heart of our farm, which is nestled beneath the South Downs in beautiful Hampshire. It does have wifi, but it is a bit temperamental and is not easily accessed from the yurts themselves. 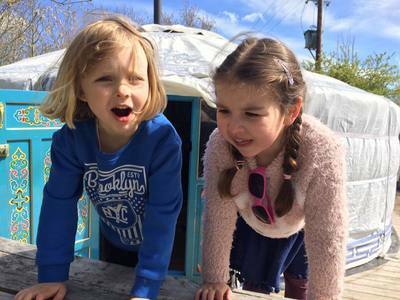 The yurts themselves, with their ornate hand painted designs, have a magical quality, particularly to children. 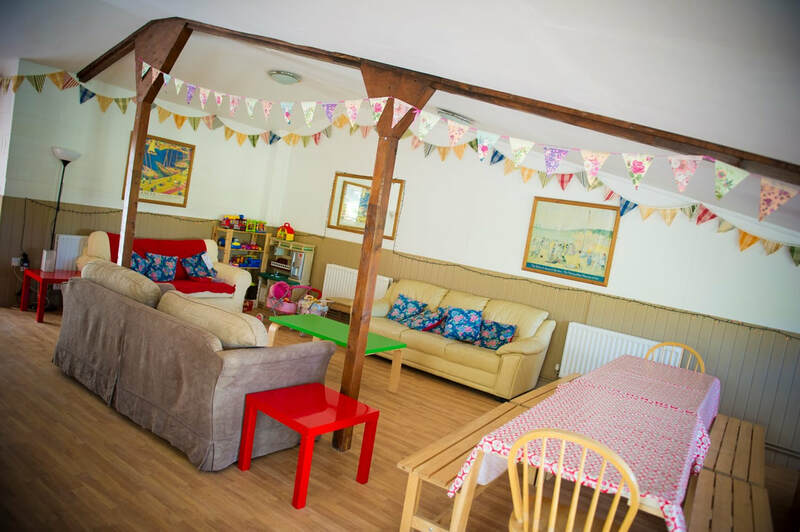 And with the toys in the yurtery, the sandpit and the fact that it is far enough away from the road that parents only need to keep half an eye on supervising their kids, whilst doing the barbecue and supping a glass of wine, it is a place for the whole family to enjoy. In the middle of the valley. Four beds and a futon in each. Sleep a maximum of six. You can have a double bed. 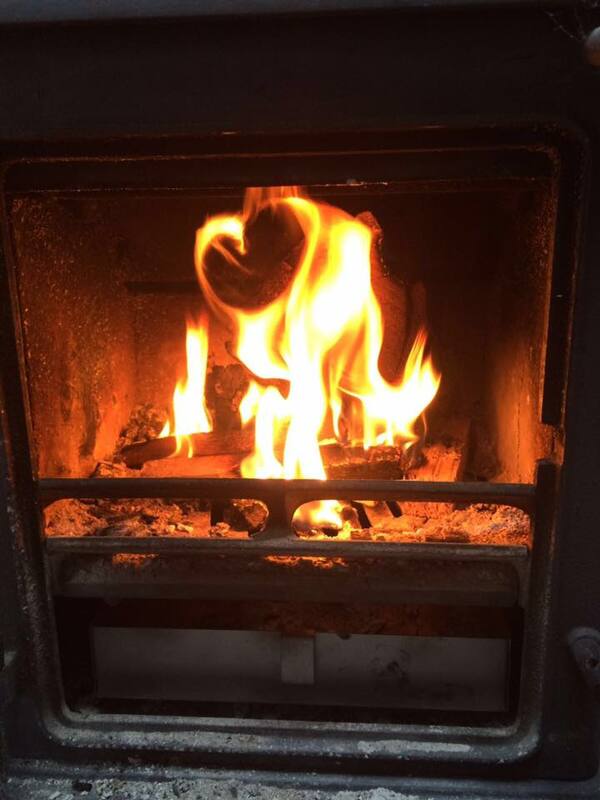 Wood burning stoves, with free supply of wood and kindling. Outside firepits on which to cook. But you do have electric. Toilets, hot showers and washbasins within 50 yards of each yurt. 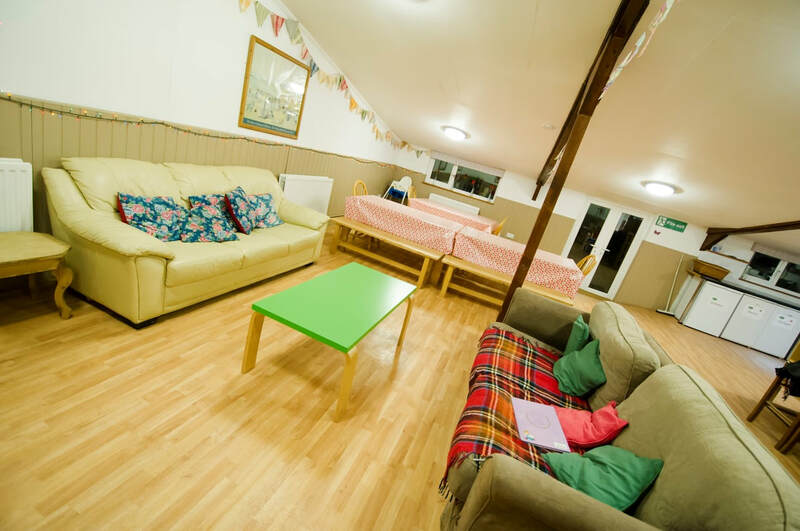 The Yurtery - a communal cooking, eating and chilling out area available to share. Everything provided. Just bring food, drink, tootbrush and towels. You can bring the dog. Ideal for families and children. "This is our third year staying in the yurts and this year we brought our family with us, who stayed in the yurt next to us. As always there was a warm greeting and the Yurts were lovely and cosy on arrival. There is so much to do, but the children’s highlights were running wild in the woods, fishing, the hammocks, marshmallows on the fire and milking the cows. The yurtery was great for our big group, and the children enjoyed the toys and books available. Would recommend to all!" 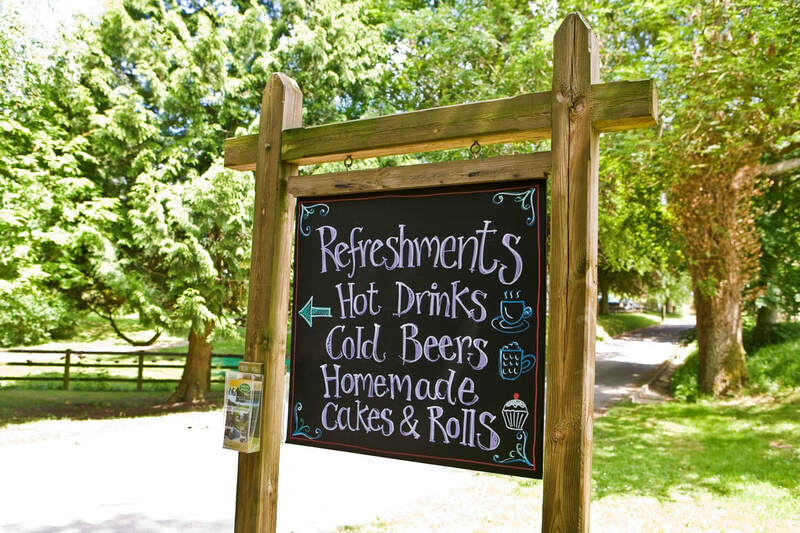 "We have stayed at Meon Springs many times, love it everytime. Wonderful Yurts, cosy and warm. The Yurtery is a real bonus if it rains, somewhere to eat and play games all evening. If we are unable to sit around the campfire, which we usually do in April anyway. 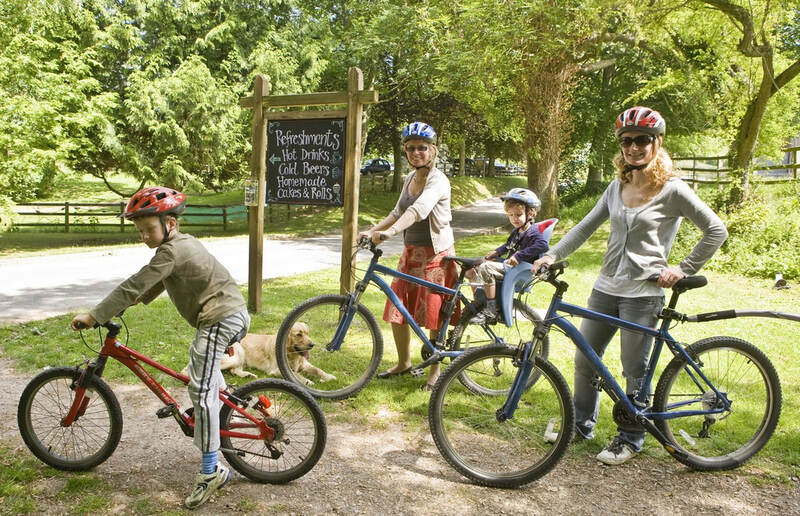 Local to great walks and bike rides, all kiddy friendly. We will be back!" Indeed, over the years, we have had a number of film crew visits, including Mr Tumble on Something Special. ...For Meon Springs - watch from minute four. Most of all however, Meon Springs is just a beautiful place to hang out. 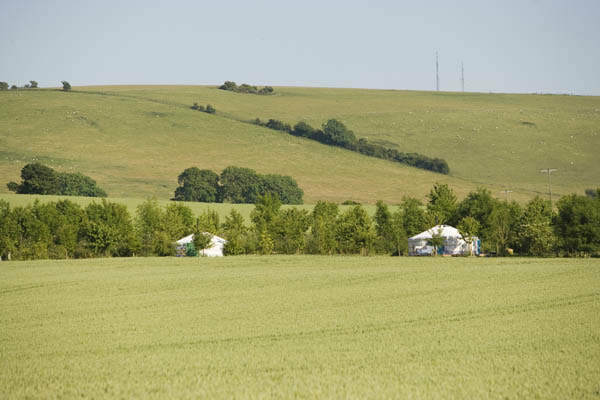 Many of our customers hire the whole yurt village to use for birthday celebrations, hen do's, and family gatherings, club gatherings, corporate teambuilding and more. The unique thing about doing this is that each group has its own reason for coming. It could be that they had college/university friends that they haven't seen for some time, children at the same school that love getting together outside the school gate. 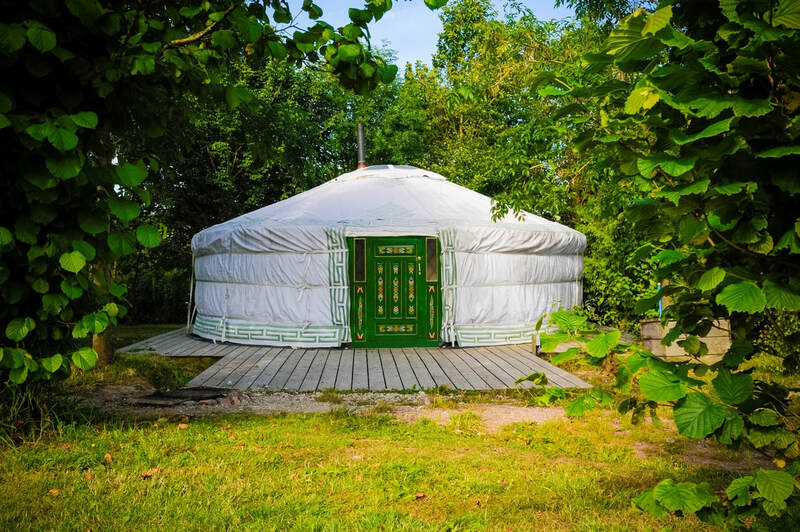 To do this, they hire the whole Yurt Village, giving them exclusive access to all the facilities as well as personal space for each of the six families staying here. 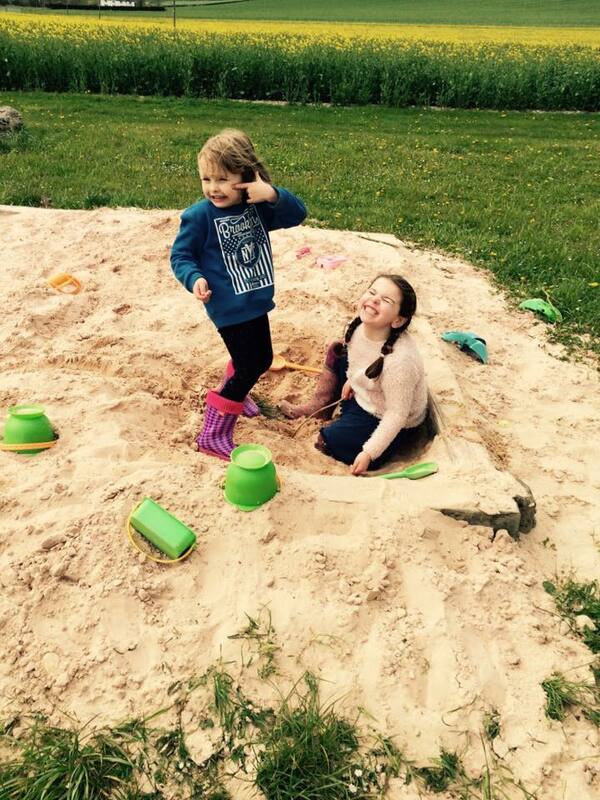 For the younger generation, a prime attraction at Meon Springs is The Sandpit. We are always developing new facilities for families and this was just one customer suggestion. During the Summer, each yurt has a hammock. We love to add stuff that makes chilling out even easier. This was another customer suggestion. 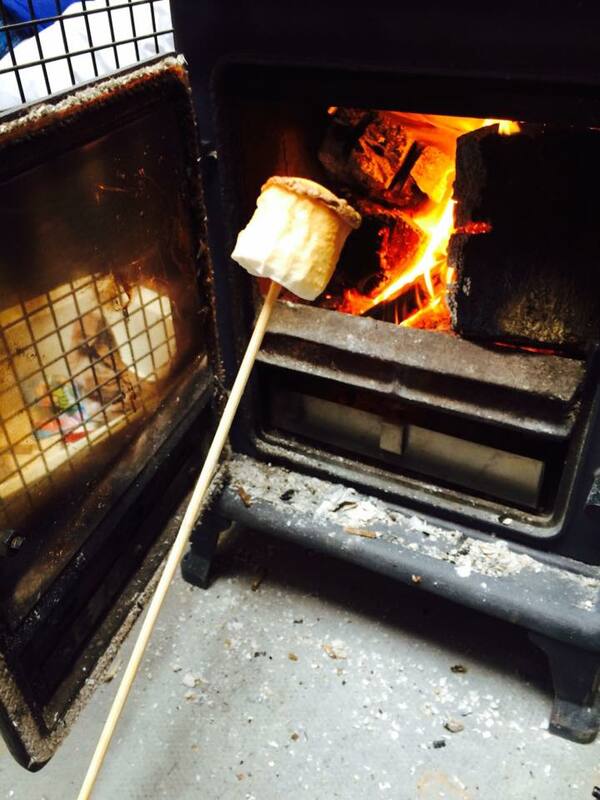 The Yurtery is a fully functioning kitchen and chill out area for all families to enjoy. 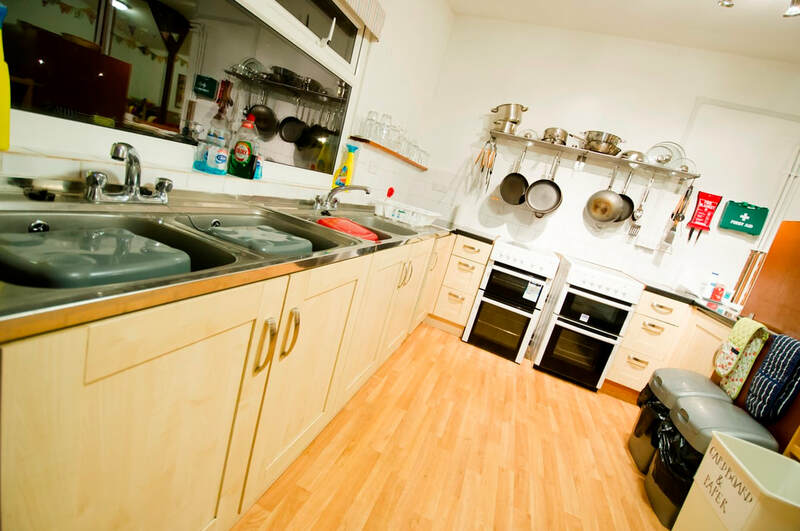 It is equipped with crockery, cutlery, pots and pans. It is centrally heated and an amazing place to hang out on a wet day. Inside or out, everybody loves to keep warm. Each yurt has its very own woodburner to keep your yurt cosy and warm and a firepit outside, to sit around and cook on. Everybody loves to sit out under the stars at night and it is also useful to be able to cook your dinner outside. We have stayed at Meon Springs many times, love it everytime. 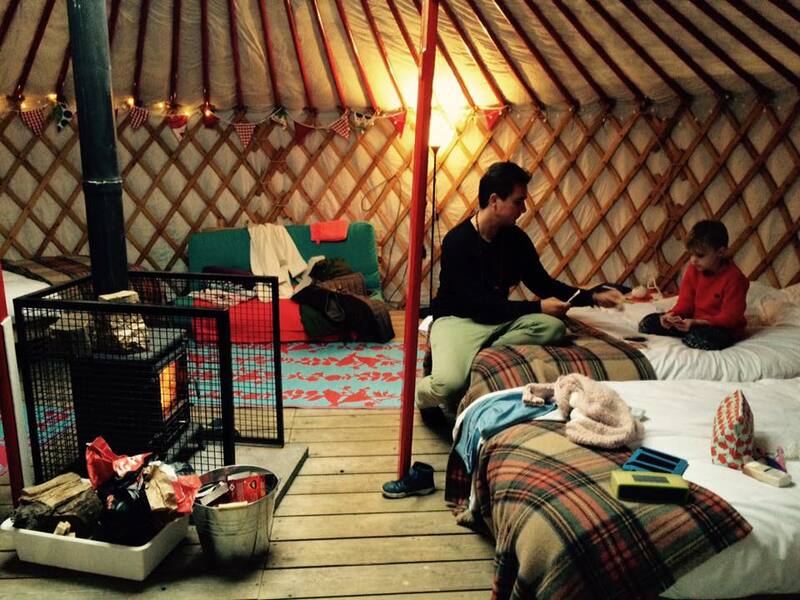 Wonderful Yurts, cosy and warm. The Yurtery is a real bonus if it rains, somewhere to eat and play games all evening. If we are unable to sit around the campfire, which we usually do in April anyway. 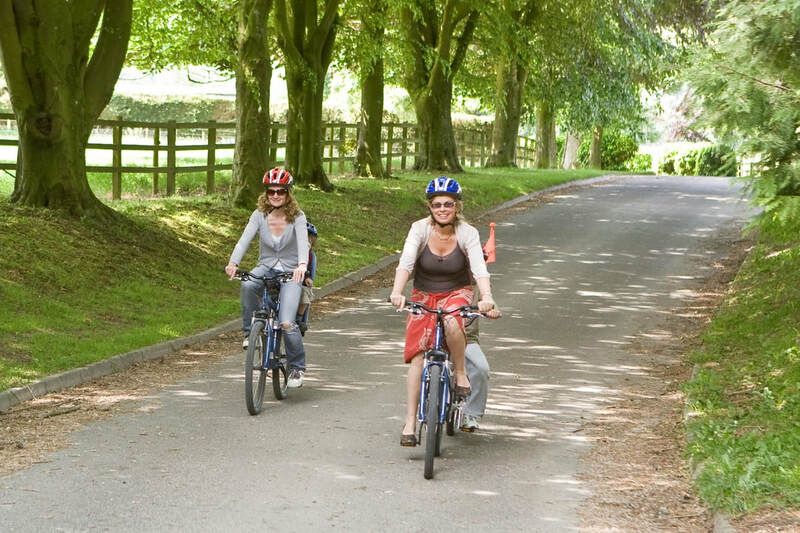 Local to great walks and bike rides, all kiddy friendly. We will be back! 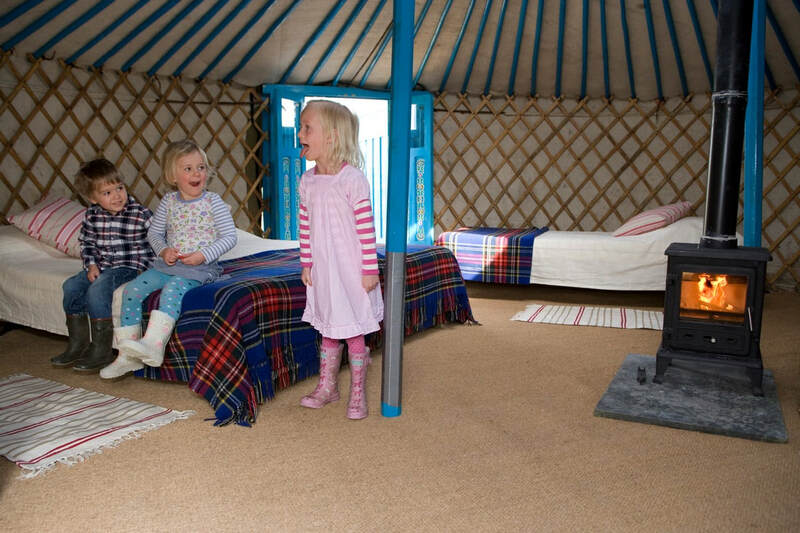 "We took all 6 yurts (and the excellent yurtery). Despite pretty rough weather (including a named storm!) we had a terrific time and were very well looked after. All the yurts were well-maintained and prepared. 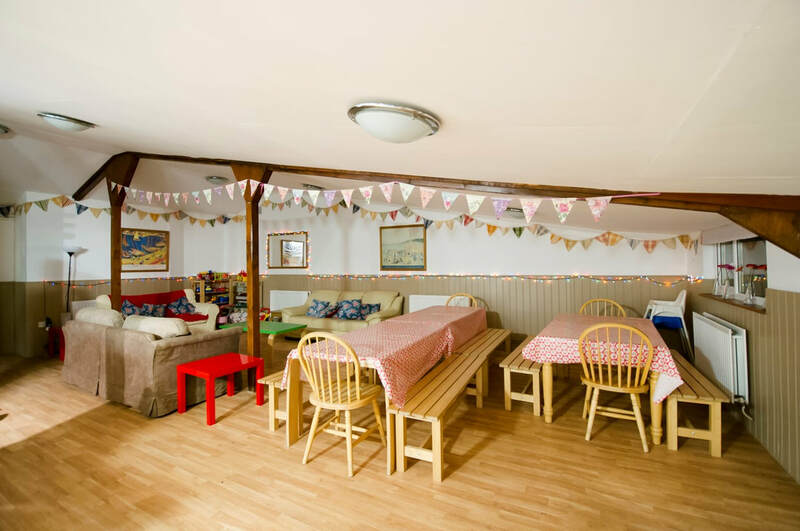 The yurtery is a superb space for a large group, and provides light, warm, relaxed shelter and cooking facilities - especially valuable in bad weather. The surroundings are beautiful. Jamie and Alison dealt promptly and helpfully with a couple of very minor issues. Warmly recommended!" Room Tip: All six yurts are the same. The advantage of taking all six is that you get exclusive use of the yurtery. 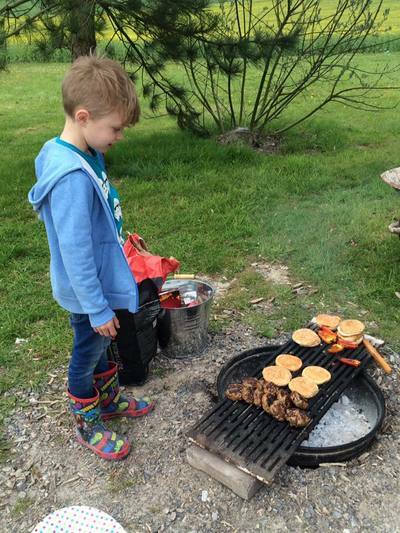 Our aim for families staying with us is to give them as much opportunity to connect with the farm, the fishery and the countryside as they possibly can, as well as having as much time to chill out and relax as they want. 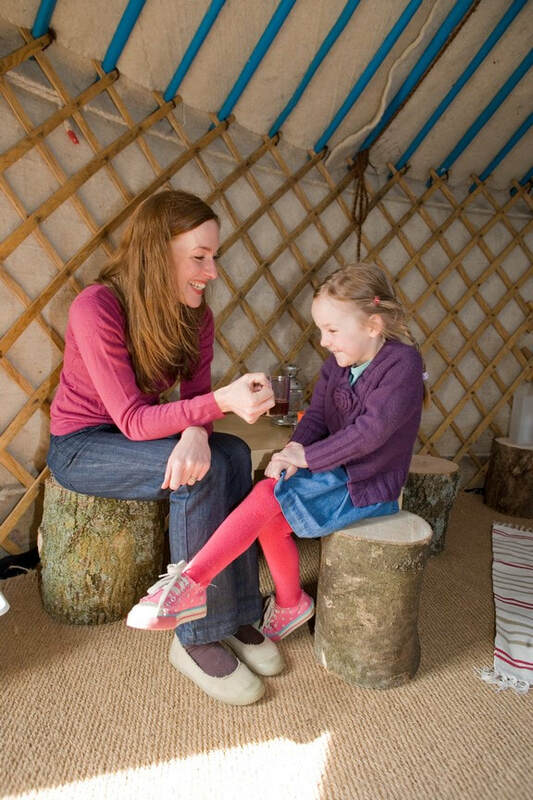 Yurting families are therefore welcome on the farm. Indeed, at 4.30pm on any afternoon, you can come and see the cows being milked in our big 24/48 swingover herringbone parlour. If it's not too busy, the guys milking will be pleased to help you put a machine on and milk your first cow. All of the fields are growing different crops, with our help, you can identify what is being grown where, how it is grown, what it will be used for and what it is worth. Also around the farm, there are a number of walks and also Geocache, which can be found (download the Geocache app to get the locations). Another fun thing to do is identify the tree varieties in our Tree Dedication Wood, just by the fly fishery - and when you get good at that, go find them in the wild. On site, we also have areas where young children can practise their cycling. Many kids have gotten their first balance on a bike at Meon Springs. And of course, for the bigger kids (and adults) there is plenty of opportunity for some really good cycling in the area. 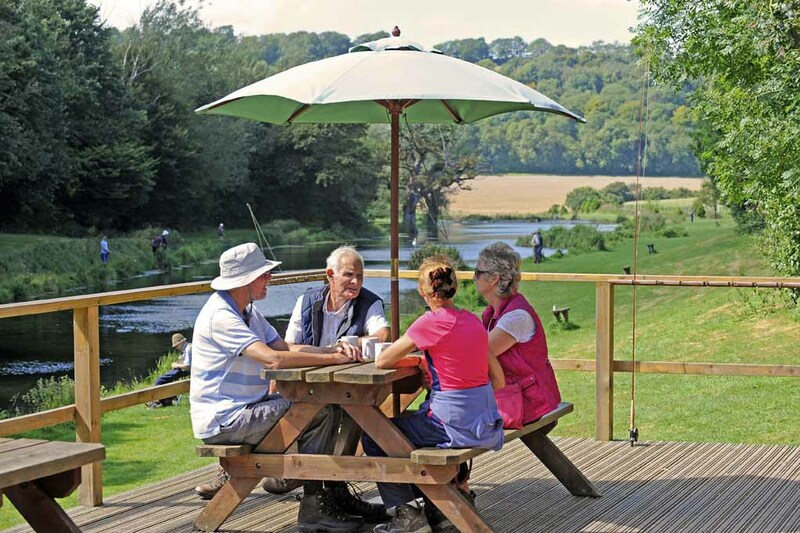 At Meon Springs Fly Fishery, children can have a go at catching a fish in our Kids Pond. This is a really good fun experience and (with luck) provides supper at the same time. Please take a look at our Fishing School pages for more details. 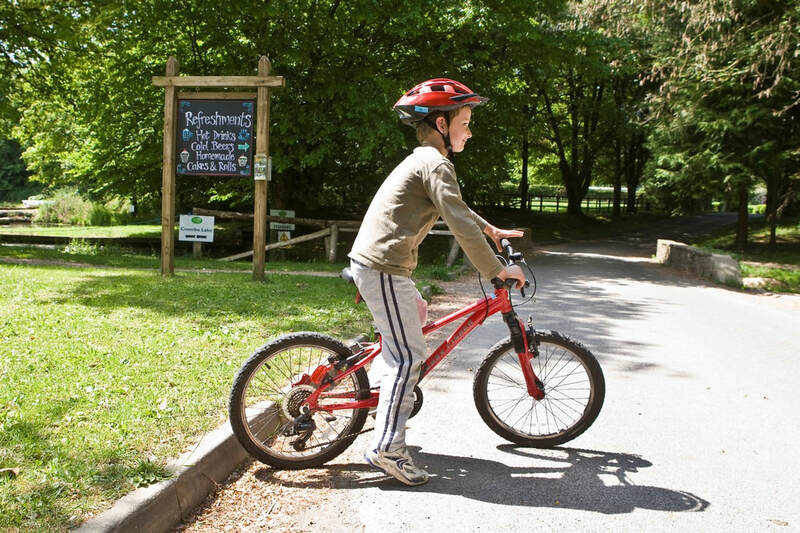 Cycling is great fun around here and many of our younger visitors learn to ride a bike for the first time at Meon Springs. For a small fee (£35 for your stay) you can hire a mountain bike from us. At the very least, that lets you cycle down to the fishery for a cup of tea (free to Meon Springs customers) and a piece of cake. In the local area there are loads of things to do for all the family. In walking distance, there are the villages of East and West Meon, with their quaint country pubs, village shops, churches and playgrounds for the kids. 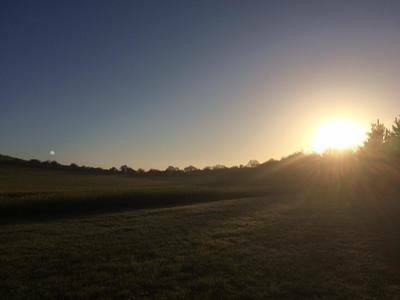 A nice morning trip is to stroll down to the local cafe in West Meon, or over the hill to East Meon for a run around the playground. Further afield, you can explore historic Portsmouth, medieval Winchester and everything in between. Hampshire has it all. And let's not forget fun family outings, taking a trip to local country parks, such as Queen Elizabeth Country Park or, in walking distance Old Winchester Hill. If you fancy a splash, head to The Taro Centre in Petersfield, or the Petersfield open air pool. And of course for outdoor swimming, we are not far from the beaches at Hayling Island or West Wittering and, if you're feeling adventurous a day trip to the Isle of Wight is also possible. One of the best local family pubs is the Seven Stars at Stroud, on the A272. However both the Thomas Lord in West Meon and The George Inn plus the Izaak Walton in East Meon are great places to eat and drink. When you arrive at Meon Springs, we can give you much more personal information on things that will make you stay great. 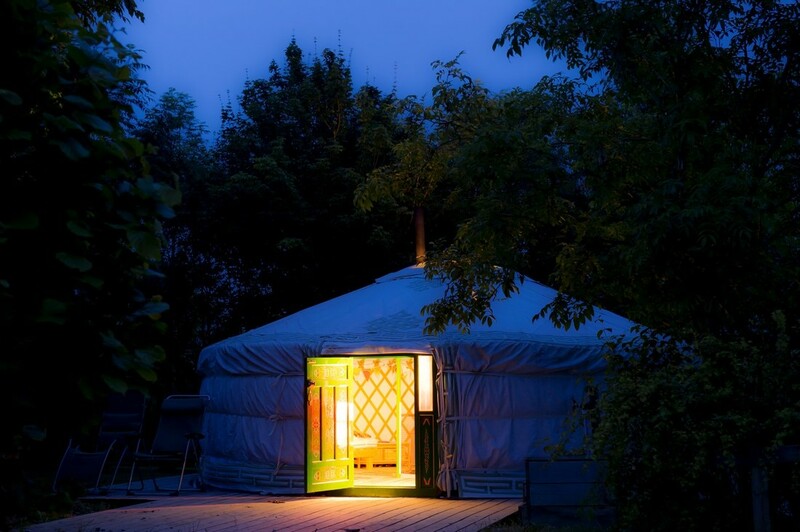 Yurts originate from the nomadic tribes that roamed central Asia. These lattice-framed dwellings wrapped in animal skins could withstand the harshest of climates and still be completely portable. Today, yurts tend to be made from modern materials but the characteristic round shape surrounding a lattice frame still holds true. And with the ornate paintwork inside as well it makes for a thoroughly magical experience. 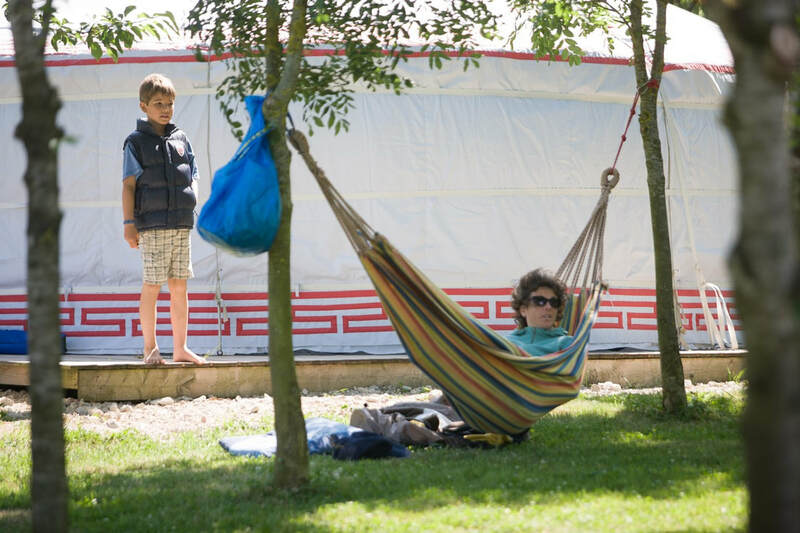 At Meon Springs in Hampshire, the yurt camping site sits among trees overlooking a giant field and has the feel of a small village. 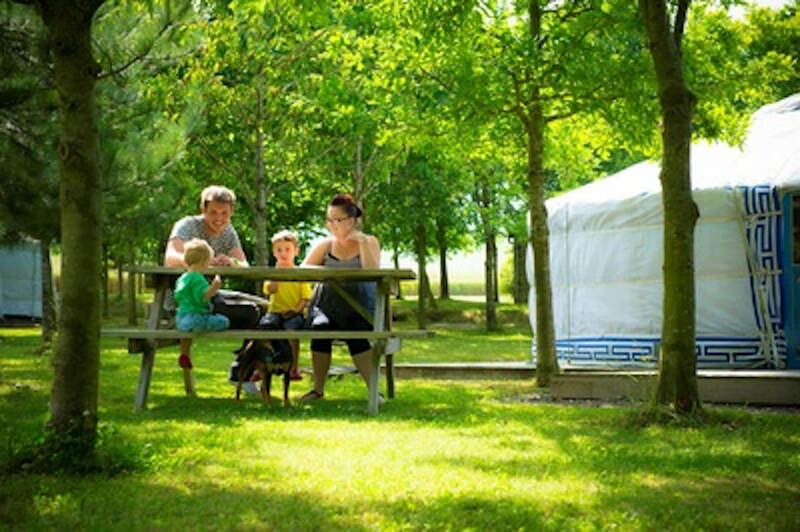 Depending on the time of year you can get good cheap yurt camping if you can be flexible with your holiday dates. In fact, midweek breaks – rather than weekend camping holidays - tend to be cheaper. If you want to know why someone would go camping in a yurt then this review posted on TripAdvisor by someone who stayed at Meon Springs in October 2018 says it all. “What a beautiful peaceful place! 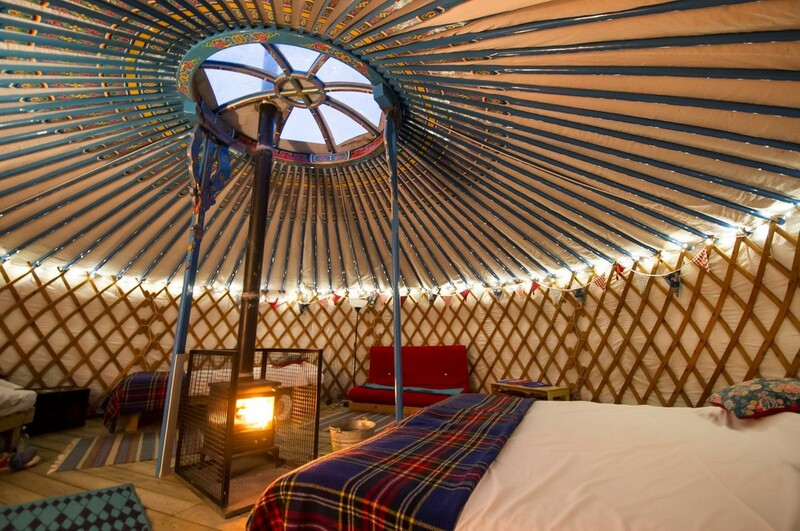 Our Yurt was totally enchanting with the skylight, decoration & cosy log burner. Every Yurt had its own outdoor fire pit to cook on – and there was even a large communal fire pit if you’re feeling sociable. While it’s clear that yurt holidays are great for families, they’re also great for dogs as well. After all, they’re part of the family too which is why we’re happy for people to bring along their dogs. There are plenty of footpaths and fields to walk – and plenty of sticks to throw and chase. 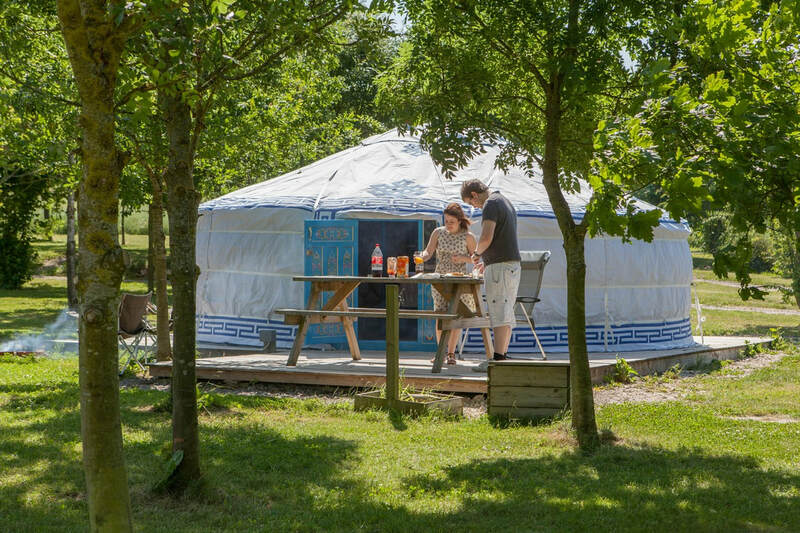 It doesn’t matter what part of the world you’re from – Cornwall, the Lake District or even the New Forest down the road – a yurt camping holiday in Hampshire with the people and pets you love is a memorable experience. There you have it. Three different experiences - three happy yurt campers. 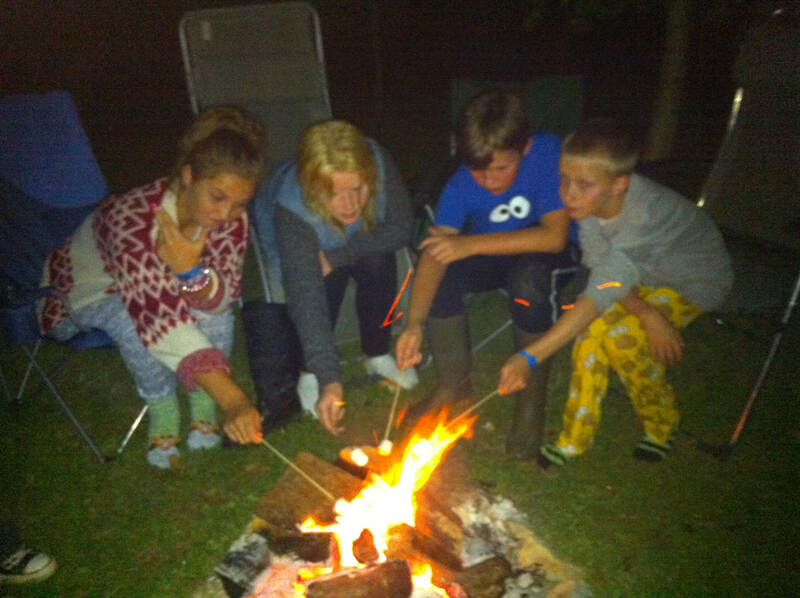 What links them all is that a yurt camping holiday is great for families and groups. And at Meon Springs, the experience creates memories that will last a lifetime.